Puzzle Mania is rated 2.6 out of 5 by 8. 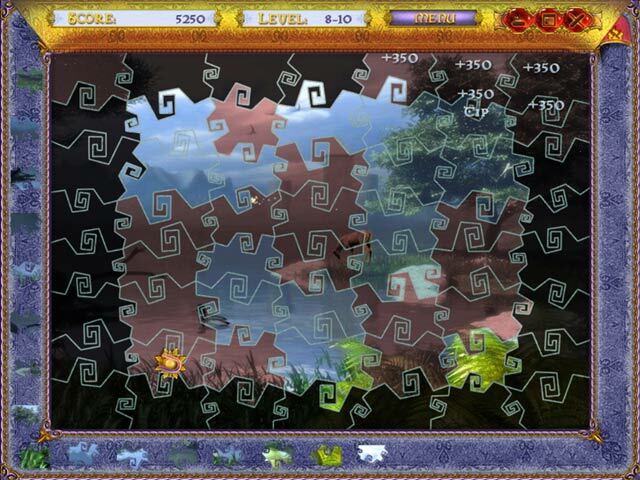 Rated 5 out of 5 by Luvago from Beautiful - Judge for yourself I love this puzzle It is beautiful, & @ the end of each puzzle the picture moves in such a way as to look 3D & waterfalls flow etc. The music is pleasant & suits the subject, although there doesn't seem to be much of a story, but it is a jigsaw puzzle. The pieces of puzzle move around the edge for you to select, & sometimes, depending on the picture are a bit hard to see clearly, but my eyes are getting old :) but I could still manage! Just to add variety, there are pieces that are blocked until the end, but also some pieces when placed on a ? badge twinkle for your next move & then magnetically slide in. This is such a nice place to escape to, especially if you like puzzles. I don't think it is for youngsters, but they would love the pictures when completed Do try it & judge for yourself - everyone is different in their opinions, & sometimes it is just a mindset! Rated 3 out of 5 by Kawgirl1 from Not as bad as I feared. After seeing two stars I almost did not test this game. It turned out to be a little better game than I expected. At first the large puzzle pieces on the board make it look too simple, but as you get further along you find that you don't place the pieces as fast as you think you can. 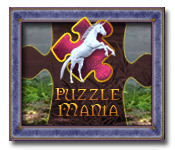 The challenge is because you are timed and the puzzle pieces are small and hard to see the detail. If you like simple timed games, or are purchasing for a child, AND you can get this game for a low price (2.99) you might give it a test. Unfortunately it did not hold my interest and I prefer untimed games like World Riddles, over timed games. Rated 3 out of 5 by rasmussb from puzzler Not a bad game, it is something I played with my 5 year old and it turned out to be pretty fun. Rated 2 out of 5 by AaronzDad from Yeah, it really is that bad Simplistic game that might be briefly entertaining for the very young, however I imagine the levels get harder as the game progresses so it might get too difficult. There is NO storyline here really. 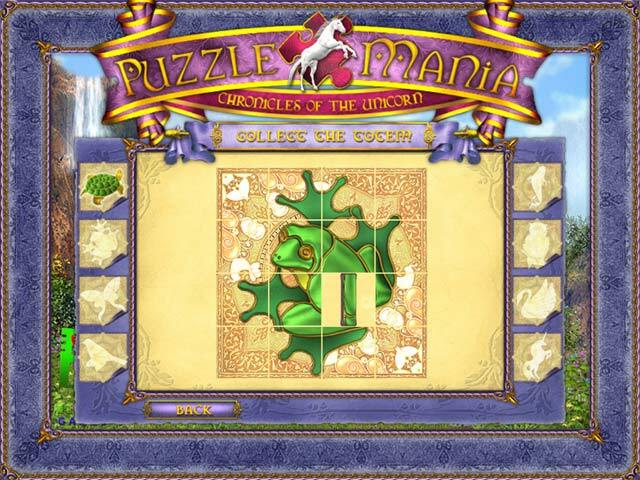 Just a loose poorly translated explanation of searching for a unicorn by completing puzzles. The pieces move on a path around the edge of the screen and the background often makes it hard to make out the actual shape of the piece. Overall a very poorly thought-out game. The premise might have potential but this effort sure doesn't. Rated 2 out of 5 by agreyowl from Not Great I only played some of the trial for this game. From what I saw, the graphics are not very good, and the game seems pretty easy and rather boring. The English wasn't very good, either, and the story wasn't shaping up well. Unless you are really into this kind of game, I would recommend skipping this one. Rated 1 out of 5 by shihtzumum from Pitiful graphics The graphics are so bad you can't tell where to put the pieces as everything is the same muted tone. Would be nice if someone could produce a nice graphics puzzle game as I do love jigsaw puzzles but want to be able to tell the difference between open spaces and the actual piece. This was a wasted effort for creation and can't even see how small kids could do this without getting frustrated. Don't even bother with the demo as I lasted about 5 minutes before I closed and uninstalled. Rated 1 out of 5 by maughan5 from poor picture quality child game. the game was okay if you are extremely bored. it would be a good child's game though. the graphics are not very good either.